Hypercom 1MB T7Plus offers industry-specific applications, for restaurants, retail and supermarkets and builds on the reliability of the whole T7 family of terminals. 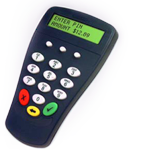 This is one of the most affordable multi-payment terminals on the market. Download PDF of the T7 Terminal. The Hypercom P1300 PCI- approved PIN entry device is designed to meet the PCI PED security standards for PIN entry and provides merchants with a low cost migration to newly imposed security guidelines. 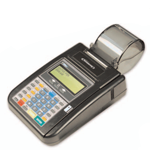 Electronic cash register machines can be rapidly integrated. Download PDF of the P1300 Pin Pad.